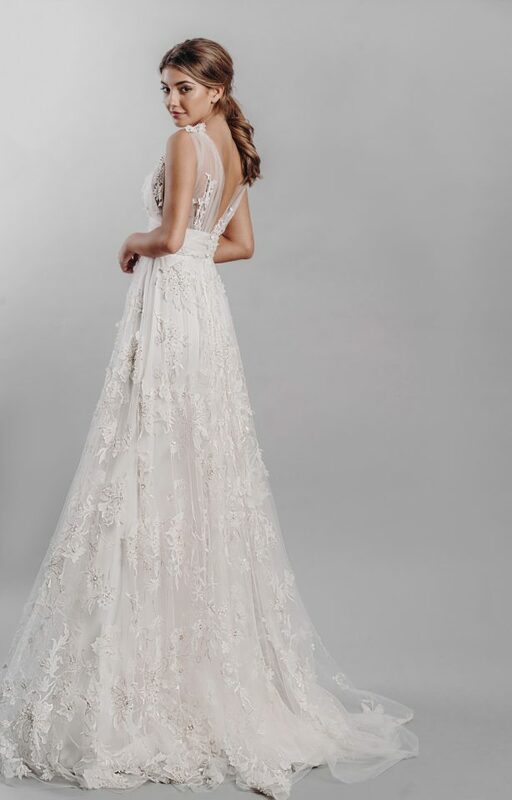 The Stephanie Allin Collection Event 5 - 7th April 2019 — Frances Day Bridal. Excitement levels are bubbling over here at the Frances Day Boutique as our designer event with Stephanie Allin is fast approaching! This is going to be one stylish treat for you all with some true show stoppers available to feast your eyes upon and to try on from 5th to 7th April 2019 exclusively. We adore working with Stephanie Allin. All of her gowns are British made and you only have to take a glimpse at these beautiful dresses to see why she is a leading bridal designer. … My personal favourite is the show stopping feather embellished overskirt aptly named “Vegas"
We have no doubts these dresses will make you feel effortlessly cool, comfortable and confident walking down the wedding aisle. Due to the popularity of previous Stephanie Allin Collection Events this is by appointment only and our standard £20.00 for weekend appointments will apply, this is of course fully redeemable against the purchase of any dress with us.